For whatever reason, iOS apps sometimes become unresponsive. There’s no way to know if or when the issue might arise, but when it does, it’s annoying. Sensibly, Apple has included a way (along with all the other major operating system like Android How to Force Close Unresponsive Apps on Android How to Force Close Unresponsive Apps on Android Whenever an Android app gets stuck, you can force-close it so it works again. If you're an Android beginner and don't know the process, it's easy -- we'll show you. Read More and Chrome OS How to Force Close an Unresponsive Tab in Chrome How to Force Close an Unresponsive Tab in Chrome So, you have an unresponsive tab in Chrome. Keep reading to learn how to force close it when clicking on the X won't do anything. 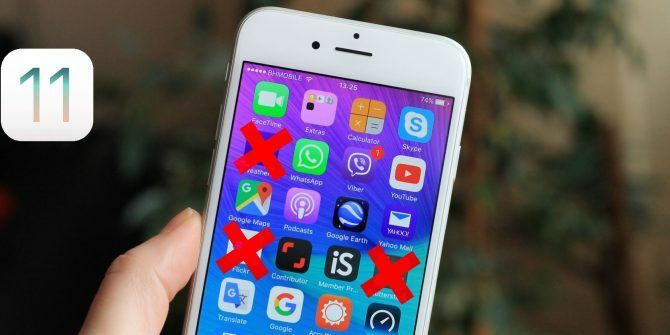 Read More ) to force close apps that stop working. It’s the iOS equivalent of pressing Ctrl + Alt + Delete on Windows. In this article, we’ll give you step-by-step instructions on how to close unresponsive apps on your Apple mobile device. Some people (and I’m guilty as charged) obsessively close all their mobile apps. I’m ashamed to say that I go through and close all the apps I have open at least once per day. In reality, doing so is completely pointless. I do it because I don’t like the clutter, but the action has no positive effect at all on the way iOS runs. In fact, the opposite is true! Background apps are frozen — they don’t consume any system resources — and reopening them uses more battery and computer power. Switching apps will be slower, and battery life will be worse. Press and hold on the app’s thumbnail. Swipe up to close the app. iPhone 8: Press and release Volume Up, press and release Volume Down, press and hold the Power button. iPhone 7: Press and hold Volume Down and Power for 10 seconds. iPhone 6 and earlier: Press and hold Home and Power for 10 seconds. Do you force close your apps religiously? Let us know in the comments below. Explore more about: iOS 11, Troubleshooting.